Iliuliuk Family and Health Services, Inc. participated in another year of 4th of July Parade in the community, where "Most Original" was awarded to the clinic. Staff of IFHS have always enjoyed participating in community events such as this and is already looking forward to the next year. What a blast this was! On May 22, 2015, IFHS staff visited the Elementary School to meet their grade school penpals on Ms. Anderson and Ms. Scott's class. The class enjoyed showing the clinic staff what they have been working on and how many books they have read. At the time, the class have read over 600 books, for which the clinic donates a quarter of a dollar for each book read. All of the kids hard work paid off as they were able to raise $320 which they used to fund their purchase of chicks, llama, pig and goat to Read to Feed Program of Heifer International. These livestocks will be then given to families in need internationally. Good job kids and congratulation to achieving and exceeding your goal! First Graders Raise Funds Through Reading.....read more. Lead by the Board of Directors, Iliuliuk Family and Health Services, Inc. held their annual Memorial Day Community Outreach BBQ. IFHS would like to thank UniSea, Westward/Alyeska, Alaska Ship Supply, UPD and Lions Club for their donations, and all others who donated and volunteered to make this event a successful one. It was such a happy event were everyone enjoyed the food, the kids games, the fire truck tour, and the beautiful weather. IFHS would like to thank the community for their support! Fun filled event coordinated by Carlo Magpantay, supported by Sharon Treannie, whom both did an outstanding job in ensuring this event's success. 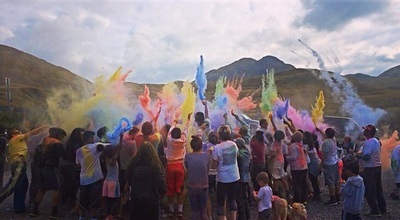 Numerous amount of community members participated in this event, where colored powder was thrown at them as they ran towards the finish line. This was such a great event displaying healthy life style to all the teens and adults of the community. 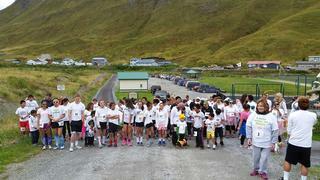 2nd Annual Aleutian 5k Color Run...read more.